Safety on the job is always important, especially in the sewer and drain industry. To avoid minor or major injuries, you should know and take the proper safety precautions while around or using sewer cleaning machines. It is also important that any equipment you look to buy has built-in safety features that will protect you and anyone nearby. To be effective, sewer cleaning machines must be powerful and sturdy. But powerful and sturdy means the machine could be dangerous if you don’t handle and use it properly. It’s important to use the right equipment with your machine and follow the manual to avoid injury. 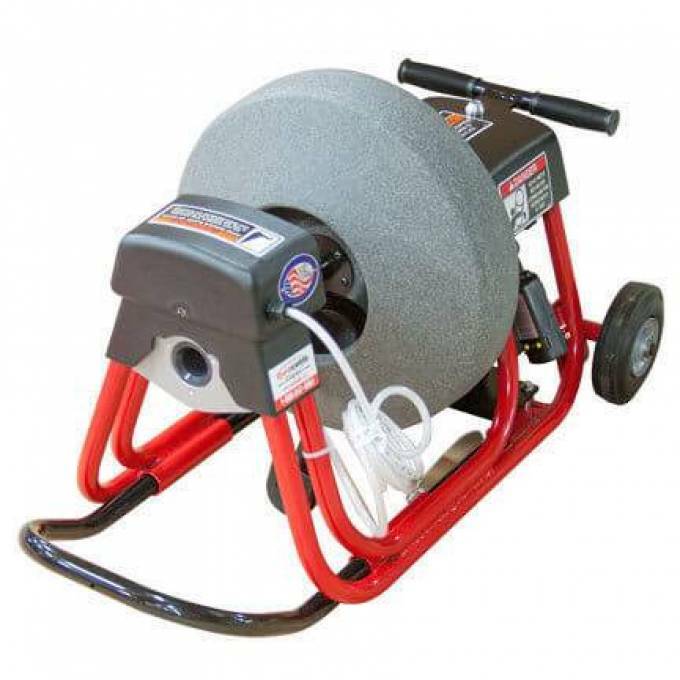 Before beginning any job, make sure the Sewer Cleaning Machine you are using is right for the job. Using a machine and cable too big or too small for the pipe could lead to injuries and damages. You should also always inspect the machine for damaged parts or faulty connections, and check the work area for any damaged or hazardous material in the area. When you plug in a Duracable sewer cleaning machine, the ground fault circuit interrupter’s light should turn green. If it doesn’t turn green, the machine shouldn’t turn on. The GFCI is a built-in safety feature to protect the technician from electrocution – if something goes wrong, the GFCI will shut the machine off in 1/40 of a second. The most common injuries that drain technicians get are leg or back injuries from lifting their machines. Some sewer cleaning machines are pretty heavy, so it’s important that you use caution when you’re transporting the equipment. Duracable manufactures loading ramps for the DM55 and DM175 machines to help get the equipment in and out of the vehicle safely and efficiently. Some machines also come with stair gliders to ease the machine’s transport on staircases. When operating the machine, always make sure to wear the right protective gear, such as safety glasses, goggles, coveralls, rubber gloves, and protective shoes. You might also need a facemask depending on the job. Make sure the protective gear is made of the right materials. The gear is there to protect you if something goes wrong, and lesser materials might not hold up, leading to you getting needlessly injured. Never start the sewer cleaning machine until the cable is inserted into the drain. You want to have it a little way into the cleanout so it spins in the pipe, not in your hand. If you turn the machine on when the cable is loose, you could easily injure yourself or someone nearby – especially if a blade is attached. Similarly, always stop the machine before the drain cable is fully retracted from the cleanout. Duracable industrial sewer cleaning machines are manufactured to outlast the competition, and they all come standard with manuals on safe usage. Duracable has been manufacturing industrial drain cleaning equipment for 25 years and is very popular among drain technicians. Duracable takes safety seriously, and its equipment goes through rigorous testing before it is sold, offering customers the highest quality. All of our machines come with ground fault circuit interrupters (GFCI). These can detect issues with the power supply and shut down the motor automatically when needed. Plus, the machines are equipped with strong, thick power cords, which are robust and cut easily for maximum protection. All Duracable machines come with a warranty, without any additional costs, because we are confident that the machines will work long after the competition stops. For more information, please visit our website Duracable.com. For more information about Drain Cleaner Snake and Drain Cleaning Equipment Please visit : Duracable Manufacturing.